Anybody still out there? Sorry it’s been so long but to be quite honest up until now there hasn’t really been much to report. Writing has been slow, when it’s been going at all, and it’s been mostly unfinished flash pieces for my writers group. In fact, if it wasn’t for my writers group I probably wouldn’t even have that much to report. This has been one of the longest dry spells I’ve ever suffered (and anyone who writes will tell you that you do suffer when you’re not writing). It pretty much started right after NaNo. First there was the rush of having completed the challenge, followed by the inevitable let down when you finish a novel. Hard on the heels of that was the realization Christmas was only three weeks away and I was totally unprepared. I had about two weeks over the holidays (Christmas and New Years) free from babysitting, but because my family is pretty scattered I spent most of that time still working on Christmas – baking, gift buying, wrapping, travelling. Then I got sick. Then life got kind of complicated and well, here I am, eight months into the new year with precious little to show for it. So I thought this would be a good time to maybe take a look at some of the goals I set for this year. Maybe things aren’t quite as bad as I thought. Most of the time I was lucky if I was writing 500 words a week. It’s an ongoing struggle – some days are more successful than others. The idea here was to give myself an hour to read before bed, but since I’ve started to go to bed earlier so I am shut down by 11, I can’t really count this as a win. When I’m using my Neo the writing seems to flow effortlessly, but it’s just actually sitting down to use it that seems to be a problem here. Wow. No wonder I’m having such a dry spell. But hopefully that’s all behind me. I’ve been doing a lot of thinking lately, and I’ve been doing a lot of reading (old favourites for inspiration), and I decided it was way past time to fish or cut bait. 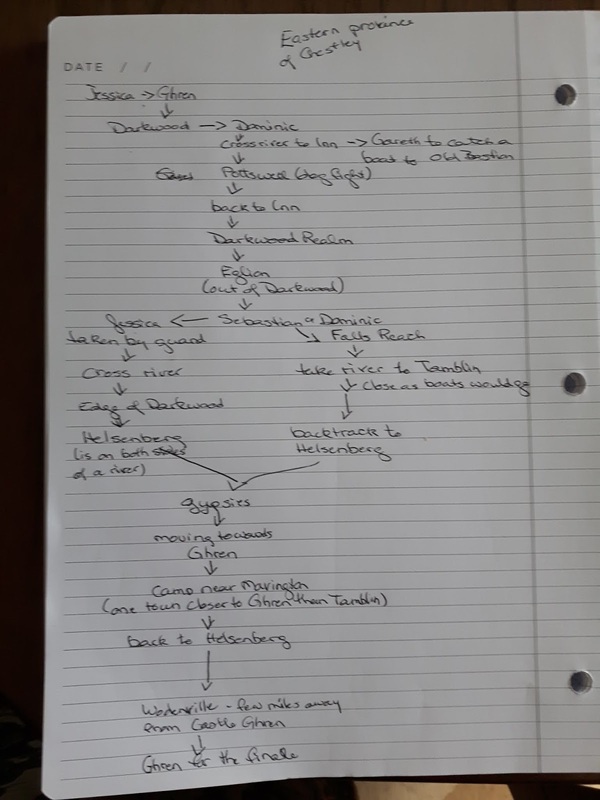 So I pulled out what I had of Wandering Wizards (the third in my Moonstone Chronicles), skimmed over it to see what I had, and then took the time to figure out where it was going. 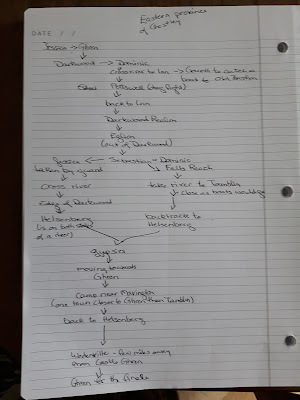 Then I went through the previous book to track down where my character had been so I could figure out the starting point to continue on. Moving forward, my goal is to write every day. Wandering Wizards has been sitting around long enough, time to get it finished. And if I need a break from the magic and mayhem, I have about a dozen or more flash stories in various stages of being done. I want to pick one a week and polish it up. Maybe even start trying to sell the darn things. What good is a story if no one reads it, right? If all goes well, starting next week I’ll be able to post my weekly word counts again. If all doesn’t go well… *shrugs* Then I guess I’ll just keep trying. Progress! I Have Progress to Report! Epiphanies, Lists, and Routines…Oh, My!